One of the main mindset changes the Career Development Programme wants to bring is the mind set of doing things for yourself, while contributing to the development of others. 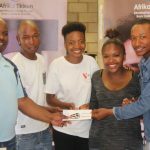 Four young people who began their career their journey at Afrika Tikkun received information about a career in the film industry. They went on to pursue their passion and interest in film, and in 2017, registered a production company called SOKAA PRODUCTION. Octavia Sonyawe, Neo Kgola, Samuel Motloung and Zwelibanzi Tshabalala proudly created a production called “When two worlds collide”. 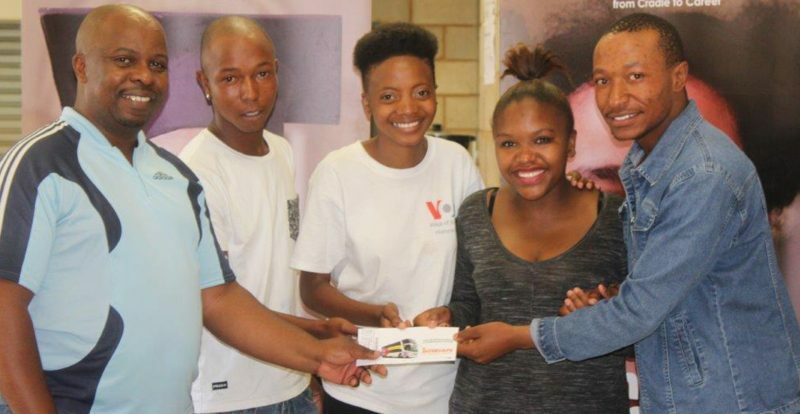 Their film was screened on the 9th October 2017 at Midrand Ster Kinekor, and on the 15th October 2017 they won a prize for the “Best Newcomer” at the 48 HOUR FILM PROJECT held in Johannesburg. On the 20th October 2017 they received a call from the Big Fish School of Digital Filmmaking and were offered a scholarship opportunity to study filming in Cape Town for 2 years. 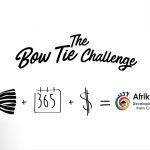 They struggled to raise funds for transport to Cape Town, and approached Afrika Tikkun for assistance. They were awarded 4 bus tickets, and arrived safely. They reported to be settling in well. 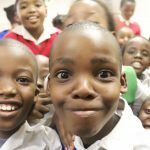 “We are thankful for what Afrika Tikkun has done for us, since from the first day, and I hope that they continue helping other young people,” said Octavia Sonyawe.